Chinese politics from the provinces: Are China's Party Fundamentalists Trying To Slam The Doors On Reform This Summer? Are China's Party Fundamentalists Trying To Slam The Doors On Reform This Summer? Yanhuang Chunqiu [炎黄春秋]—the liberal monthly magazine whose name alludes to annals describing the brief and unhappy Chunqiu period of Chinese imperial history (777-476 B.C. )—is a great read for those interested in how and why Chinese politics turned away from democracy and openness at various points since 1949. And, it must be added, how the road to political reform in China remains largely impassable today. The magazine—which is thick enough to be called a “journal”, especially since its advertising is minimal and its articles are well-sourced and strident--has been around for 25 years. Its contents range from critical discussions of episodes in the Cultural Revolution to missed opportunities for China’s constitutional development, and they always push the political boundaries. The various contributors reflect the disappointments of veteran liberal elites in the Chinese Communist party who are still trying to shake their comrades out of their slumber. Fairly or not, Yanhuang Chunqiu portrays party conservatives as Neanderthals, and hints that hardliners are just ideologues more interested in holding power than helping the country achieve political progress. In a political system where every hold seems barred, this is a journal where the exact opposite takes place. While Beijing newsvendors often reported that distributors wouldn’t always provide them with copies to sell when a particular edition was especially sensitive, the magazine is both popular and plentiful here in Nanjing, and can often be found at the odd newsstand in the city’s far-flung suburbs. Visitors to workplaces and homes of government officials and even the reception rooms at military installations here are often astounded to see well-thumbed copies of Yanhuang Chunqiu on tables and shelves. 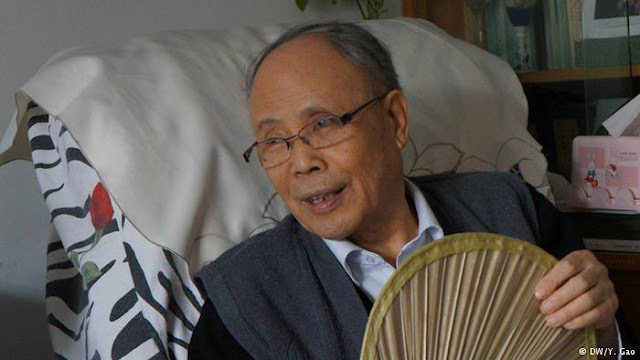 Many party cadres have returned to their ancestral homes in Jiangsu upon retirement, and more than a few read Yanhuang Chunqiu regularly these days as a counterpoint to their copies of People’s Daily. The magazine’s views aren’t part of China’s political mainstream, but its fans often are. The standard Western portrayal of political opposition in China is of young anti-party activists seeking to change a system that they don't believe in. That’s only rarely been true in China’s current century and it isn’t the case with Yanhuang Chunqiu. 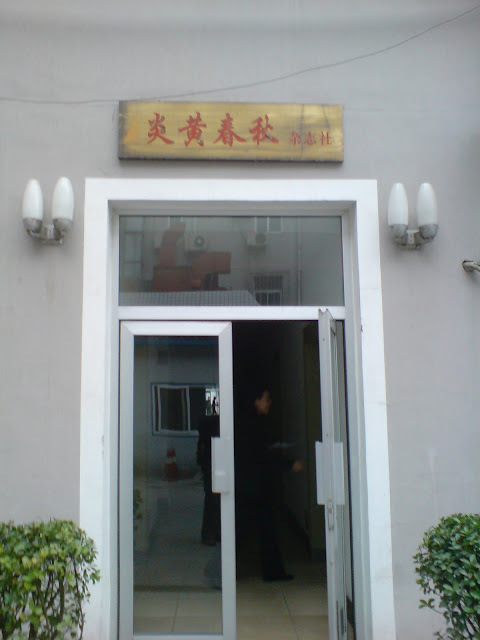 The editorial board isn’t made up of young Turks, but party elders (including 93 year old publisher Duo Daozheng) and politically-connected publishers (Hu Dehua, a son of late Communist party reformer Hu Yaobang) who often scold the Communist party they belong to for what they see as its failure to admit and correct past errors and its reluctance to get back on a reformist path. Because of the magazine’s stance, many readers feared at various points that its days were numbered. 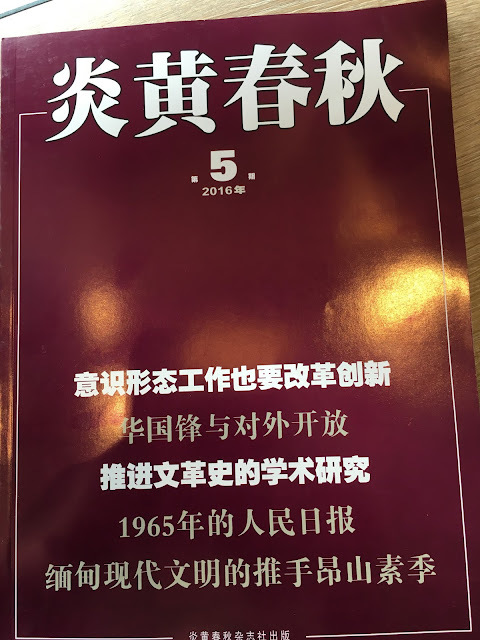 Political pressures led to the resignation of 2 editors in less than a year, and a recent attempt to devote an entire edition to the unresolved questions of the Cultural Revolution on the 50th anniversary of its outbreak led to the May issue being delayed by half a month. Despite those controversies, Yanhuang Chunqiu seemed to be surviving, with just enough space to operate in. Under Party leader Xi Jinping, who encourages internal debate, political reformers within the Communist party weren’t always voiceless; they just weren’t allowed to be very loud. But now someone wants that interregnum to end. Recent news reports indicate that major changes are being forced upon Yanhuang Chunqiu. There are shakeups in the editorial board with Duo being apparently pushed out, as well as other members who have been responsible for the journal’s direction and content. Reasoned dialogue about the Communist party’s past and its future was always seen by China’s party fundamentalists as unreasonable. Now, it appears that they’ve gotten their way. The timing of this editorial purge is revealing, because it shows that China’s hardliners want to prevent any pushback of Xi’s political program at the upcoming annual summer meetings in Beidaihe. Historically, that’s when showdowns over party strategy have occurred, and this year’s shootout is between reformers and fundamentalists. Reformers believe that China’s strength rests on economic success; that without major financial and administrative restructuring—in other words, decentralization of power—the Party’s authority will be challenged by a population that wants both modernization and political protection of the gains they’ve earned (or been granted) thus far. If economic growth can’t be guaranteed, then perhaps it’s time to start thinking about new strategies—perhaps less social and political control, for a start. They’ve begun to concede privately that it may not be able to fashion a new economy for China without some shift in politics. Fundamentalists—party conservatives--are of a different mind-set: They’re centralizers, who argue that the country is better off with more political power in Beijing than less. They believe that what China really needs is a smarter Communist party, commanding support because it offers society a vision of a China becoming greater because of its one-party political system. To get that message across, the message itself needs to be better—which is why Xi's allies spend so much time primping and pumping up Xi's profile and the Communist party and country he leads. For fundamentalists, controlling the medium is the message. And Xi's been swinging that way for a while now. Fundamentalists loathe Yanhuang Chunqiu because they think it spends too much time on the inglorious past and courts social upheaval by embracing political reform. They’d like to see it asphyxiated. Reformers admire the magazine because it emphasizes where the Communist party missed opportunities for deeper change in and progress for China. They want Yanhuang Chunqiu preserved in its present form, to remain as a platform to hint at a new politics for a new China. Notably, this political rift is also present in the lower party ranks, raising the question about how local officials and cadres will react if Yanhuang Chunqiu shifts its editorial approach or simply shuts its doors. In looking to prevent one political conversation, party conservatives may end up producing enough resentment to give rise to other, less forgiving ones.